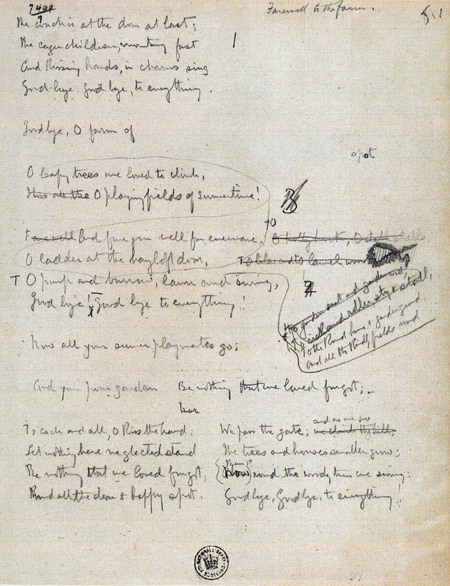 Manuscript of 'Farewell to the Farm'. 'Farewell to the Farm' is a poem which was published in A Child's Garden of Verses in 1885. It was undoubtedly inspired by Stevenson's childhood memories of visits to the area around Colinton and Swanston, his 'favourite wilderness', near Edinburgh.